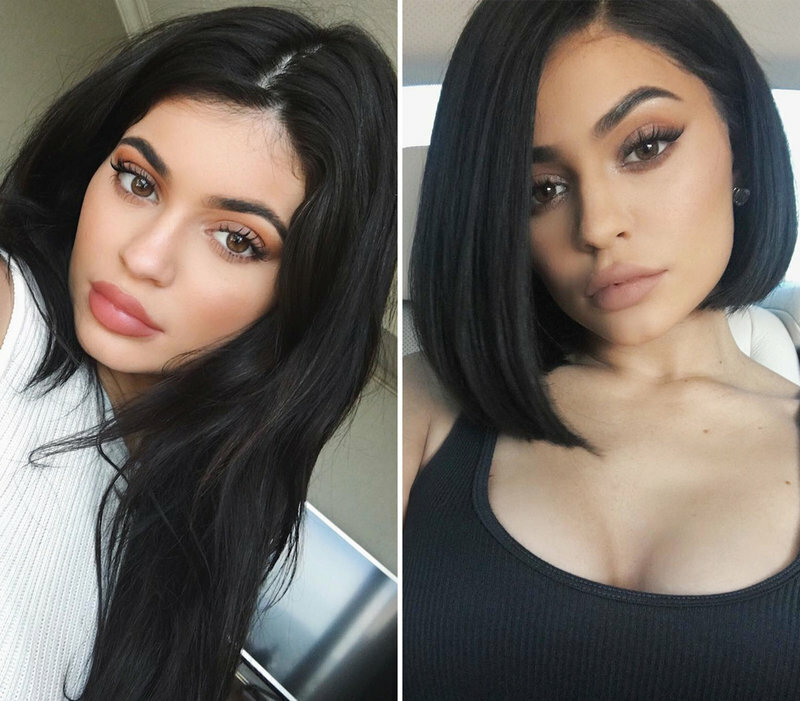 KYLIE JENNER after taking out all of her hair extensions and trying a new hair mask decided to chop her signature locks off. The result was an edgy, blunt bob that we think really suits her, what do you think? Remember a close blunt bob is a very specific style that really only suits oval face shapes. This style with a rounder face shape isn’t really ideal, We do have adjustments to the style we can make to get the right look. If you are interested in this style come in and see one of our talented Hairdressers at our Taigum or Strathpine hairdressing salons. 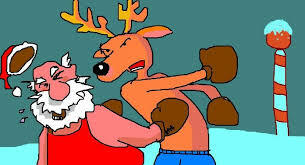 Just a reminder our salons will be closed today and tomorrow for the boxing day public holidays. 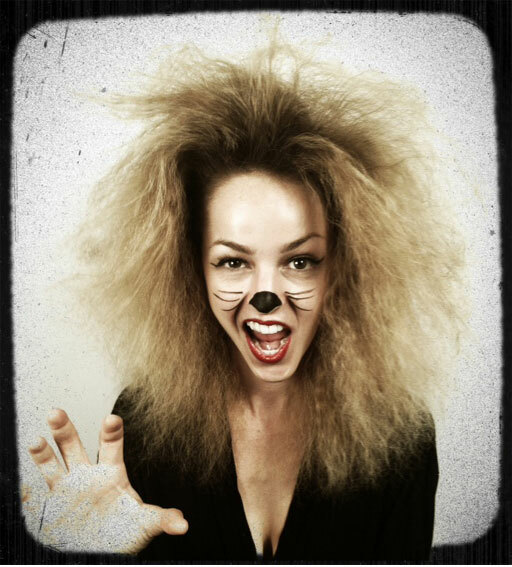 Quick hair tip #24- Are you accidentally causing your frizz? Did you know that wet hair is more fragile and is easier to damage than dry hair! Even the usual task of towel drying your hair can cause damage, roughing up the cuticle and causing your hair to look fluffy or frizzy. This not only makes your ,hair hard to style but it also creates more breakage, with this in mind always trying blotting the moisture for your hair with the towel. Remember ladies to avoid the disappointment of not getting your favourite Wow! Stylist to look after your hair for Christmas make your booking now! 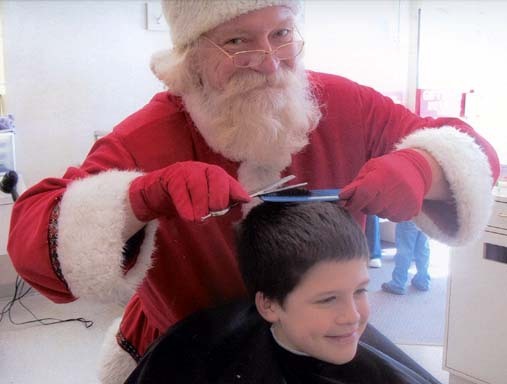 Every year the two weeks leading up to Christmas are always booked very solid for our Stylists. While we do try to accommodate walk-ins sometimes the wait times can really blow out and in some cases end in an unhappy visit for our clients. 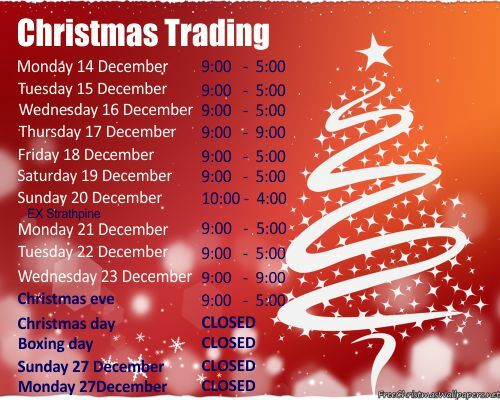 So please call our hairdressing salons at Taigum, Toombul or Strathpine to secure your appointment for Christmas today. See you all real soon! 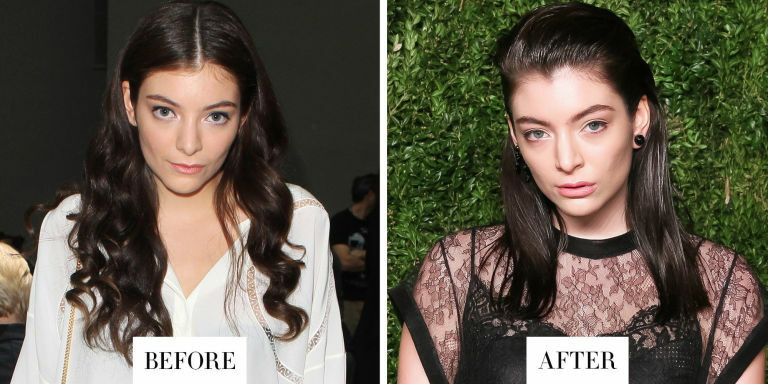 Well they say the festive season is a time for change and Kiwi songstress Lorde has taken that literally. To look at you would hardly recognise her without her signature big curls, what a change a haircut can make hey! That’s not to say we don’t love her new mid length hairstyle with slicked back front and blunt ends. To eliminate the frizz and curls her stylist has performed a Keratin Smoothing to give that amazing shine and sleek finish whilst remaining natural. If you are looking for a dramatic change like this always keep in mind that you really need an oval shape face to wear this style. If you would like to come in and talk to one of our hairdressers at Toombul, Taigum or Strathpine about either calming your curls or going the chop on your long locks come into one of our hair salons for an obligation free quote. 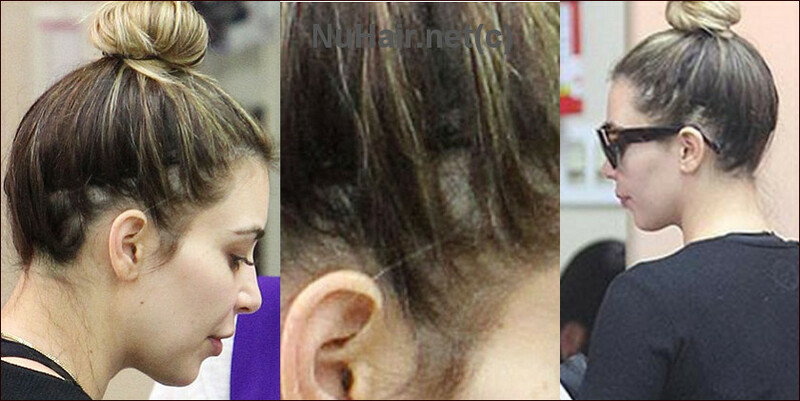 For those who have it Alopecia can be one of the most annoying hair related medical conditions that a person can have. The most common cause of Alopicia is by extended periods of pressure exerted on the scalp, this is usually from lengthy periods with particular hair extensions types or continued use of rubber bands to hold back hair. 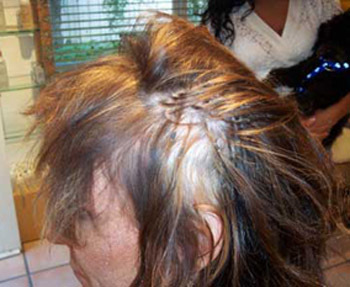 This condition usually leaves spots scattered through the hair where no hair will grow. Up until now there was no cure for Alopecia but that may change soon. Researchers at Columbia University in the US have found two drugs that are currently avaiIable on the market that switch off receptors that cause auto immune attack to the follicle which of course is the reason the Alopicia is present. Current Lab tests have been gaining success and if found to work these drugs could open up a whole new world of treatment. For a limited time only we are offering a very special offer for long haircuts with our amazing stylist Kaitlyn. Until 3 October 2015 we are offering shoulder length or long stylecut and blowdrys with Kaitlyn at our Toombul salon for $39.95. These are by appointment only and spaces are limited so please call 3266 5655 to make an appointment today. Sick of trying to get the knots out of your child’s long hair. Funnily enough the easiest and quickest fix for this is to just tie their hair back in a pony tail. It causes a lot less work and tears for everyone. 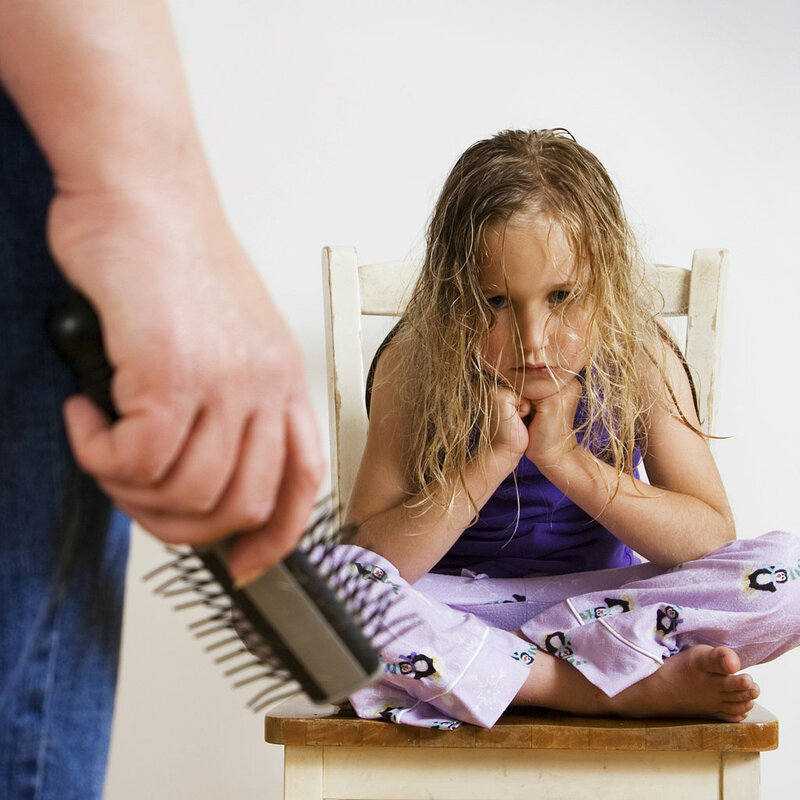 Also if your child’s hair is particularly knotty use a leave in conditioning spray like Brocato Detangle to help prevent tangles in the first place. Due to increasing costs we have been forced to apply a modest increase to our low prices. As most of our regulars would be aware we have not had a price increase since 2012 and have always been committed to providing awesome customer service at the lowest possible price. Please note that while we will endevour to have our prices on the website changed ASAP any posts previous this date cannot be changed and we will be changing the front page sliders within the next month. If you would like to get an idea of a price please speak to one of our friendly hairdressers in our Toombul, Taigum or Strathpine salons.